Early community-based libraries included subscription libraries, literary societies, mechanics' institutes and book clubs. They were established (often by churchmen) for three principal reasons: firstly, for intellectual and practical enquiry; secondly, for recreation, particularly in isolated communities; and thirdly, for community building and the founding of a civilised society, in the British model. In Hobart, the Wesleyan Library (1825) was the earliest such library in the Australian colonies. 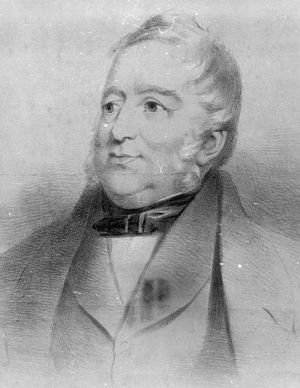 Dr James Ross, a founder of the Hobart Mechanics' Institute (1827), also established the Hobart Town Book Society (1828). The Tasmanian Public Library was founded in 1849, and soon contained 3500 books, the majority from the estate of James Bicheno, the former Tasmanian Colonial Secretary. In Launceston, the Rev Dr William Browne established a library at St John's Church (1828), and encouraged its use by both the convict and free communities. The town possessed a Book Society (1840) and a Library Society (1845), both of which gave way to the more broadly constituted Launceston Mechanics' Institute (1842). Outside Launceston and Hobart, the Bothwell Literary Society (1834) was the first such institution in colonial Australia. Its members were mostly Scots and officials who had settled the Clyde Valley in the early 1820s. Books and periodicals were either donated or purchased from Britain. The same occurred at Evandale where the Rev Robert Russell founded the Evandale Subscription Library (1847). Its major donor was the renowned landscape artist, John Glover. All libraries were established for the common good. Further reading: W Kirsop, Books for colonial readers, Melbourne, 1994; S Petrow, Going to the Mechanics, Launceston, 1998; K Adkins, ''For the best of reasons', PhD thesis, UT, 2004; J Levett, 'The Tasmanian Public Library', MLib thesis, Monash University, 1984.